It’s Canada Day here in a very hot and sunny Vancouver so I thought I’d commemorate the occasion with a Canadian artist for music Wednesdays – Feist. 1 2 3 4 is one of my favourite songs of hers and probably her most well known. And this is the version she sang on Sesame Street. 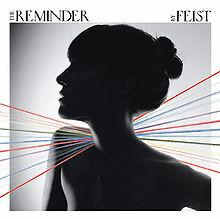 The song is taken from the album The Reminder.